Cape Town - The Blitzboks produced an improved performance when they thumped Kenya in their second Pool A match at the Dubai Sevens on Friday. The South Africans won 48-5, after leading 17-5 at half-time. 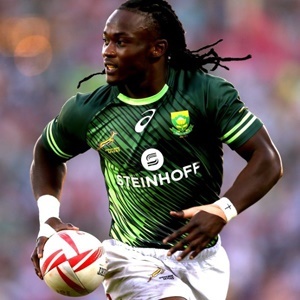 Speedster Seabelo Senatla scored a hat-trick as the Blitzboks recovered from an early Kenya try to cross the whitewash eight times. Earlier in the day, the Blitzboks looked rusty in their first match when they beat Uganda 19-10. In their final Pool A clash on Friday, the South Africans face Canada (17:53 SA time).